A4 student solutions quality hard cover exercise graph paper notebook. Solid colourful and hard front and back cover. Gloss laminated for added protection and design. Comes with 128 pages on 70gsm smooth bright white writing paper, 5mm square ruled with 18mm margin and space for headings. Case bound and thread sewn on the long edge (297mm). This notebook measures 297mm x 210mm (11.7" x 8.3"). 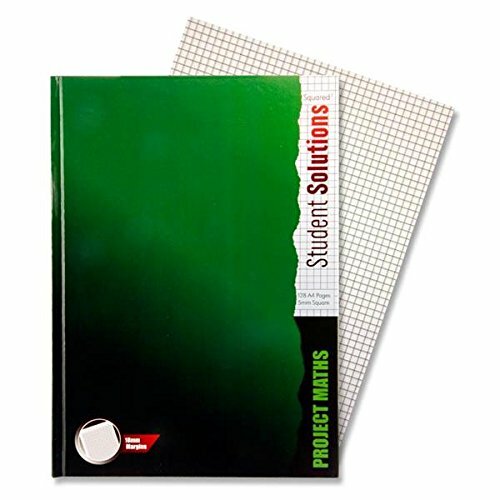 A4 student solutions quality hard cover exercise graph paper notebook. Solid colourful and hard front and back cover. Gloss laminated for added protection and design. Comes with 128 pages on 70gsm smooth bright white writing paper, 5mm square ruled with 18mm margin and space for headings. Case bound and thread sewn on the long edge (297mm). This notebook mesaures 297mm x 210mm (11.7" x 8.3"). View More In Graph & Data Pads. If you have any questions about this product by Student Solutions, contact us by completing and submitting the form below. If you are looking for a specif part number, please include it with your message.